No matter how you do the math, there’s no ROI on a video that doesn’t get any views. So you just have to make your video go ‘viral’, right? But counting on a video to go viral effortlessly is not so different from planning your income from the returns of lottery scratch tickets. 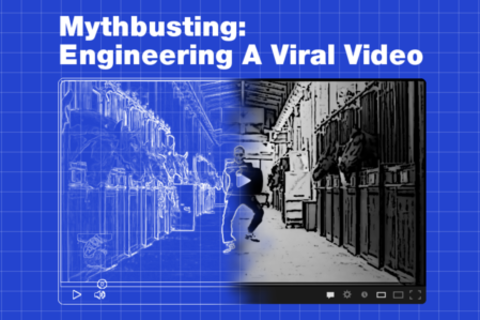 Virality on YouTube is often misunderstood and myths abound. When a video is engineered properly, it will drive views, amplify content sharing, and turn on widespread community interaction. In this nuts-and-bolts session the author of Video Marketing for Dummies, the head of marketing for the dominant global video entertainment network on YouTube, and the President of a premium global brand offer a look behind the scenes of recent video hits. Short presentations plus a discussion cover the manageable (and unmanageable) variables of the viral video equation. Critical issues discussed include content planning, digital strategy, metadata, seeding, humor, production, community, social, analytics and YouTube. Bettina Hein is the co-author of “Video Marketing For Dummies” (Wiley 2012). She is the Founder and CEO of Pixability (www.pixability.com). Pixability is a YouTube marketing software company that helps brands, ecommerce companies and agencies build a YouTube audience and win customers via video. Bettina is a serial technology entrepreneur, and has built successful technology companies in the United States and in Europe. Prior to Pixability Bettina co-founded the Swiss-based speech software specialist SVOX AG in 2001. SVOX was sold to Nuance Communications (NUAN) for $125 million. Bettina holds a Master of Science degree from MIT where she was a Sloan Fellow, a law degree from the University of Constance, and a degree in business administration from the University of St. Gallen. In 1996, she was the initiator of START, an organization that advances entrepreneurship among college students. In 2000 START received the Ernst & Young Entrepreneur of the Year Award. She is also the founder of the SheEOs, a network for female CEOs and founders of growth companies. She is also the co-author of “Video Marketing For Dummies,” released by Wiley in May 2012, which reached #2 on Amazon’s Web Marketing List. Bettina is a frequent speaker on the topics of video, marketing and entrepreneurship, and has spoken at MIT, Harvard Business School and conferences worldwide. She resides in Cambridge, MA with her husband and daughter. Eduardo Tobon is President of Diners Club International, a global payments network with acceptance in 185 countries. Mr. Tobon is also Senior Vice President of Discover and a member of the company’s Management Committee. In his current role, Mr. Tobon is responsible for the entire Diners Club business including marketing, product management, operations, the service center, client relations and business development. Mr. Tobon spent the past twelve years at Sovereign Bank-Santander, a top 10 global financial institution, in various senior leadership roles including strategy, product, marketing and sales. In his most current role he served as CEO of the US Cards and Payments Division. Prior to Sovereign Bank-Santander, Mr. Tobon worked in strategic consulting at two McKinsey legacy firms (Mitchell Madison Group and AT Kearney), as well as in production planning with Procter and Gamble. He earned a Bachelor Degree in Production Engineering from Universidad EAFIT in Medellin, Colombia and an MBA from Carnegie Mellon University. In addition to his responsibilities with Diners Club, he is involved in organizations that give back to children’s causes, volunteering with the Boston Youth Symphony Orchestras and Children's Hospital. Kevin Doohan is EVP, Marketing at Machinima, the leading video entertainment network for young men. In this role, Doohan oversees the marketing function including: brand marketing, public relations, audience development, trade and partner marketing, and research. Doohan’s team at Machinima develops strategy and programs that connect with and attract advertiser and consumer audiences. For advertisers, Machinima is the best video programming network to reach the valuable and elusive 18-34 year old male audience. For consumers, Machinima is bigger than it’s programming alone. Machinima is a true global lifestyle brand, grounded in gaming, and representing the unique perspective and sensibility of its’ audience. Prior to Machinima, Doohan was head of digital marketing at Red Bull. Under Doohan’s leadership, Red Bull experienced explosive growth across digital channels, especially in social media. Doohan’s team led strategy and activations that grew Red Bull’s facebook likes from 300,000 to 28 million, increased twitter followers from zero to over 700,000, and established Red Bull as a social media pioneer on Instagram, Klout, and other platforms. Teams led by Doohan transformed RedBull.com into an global content hub envied by brands everywhere. Doohan restarted and focused Red Bull’s gaming/e-sports marketing strategy. His team conceived, launched, and managed proprietary Red Bull gaming events that drew millions of viewers online and thousands in-person. From 2004-2008, Doohan led all digital marketing at ConAgra Foods including the corporate brand and consumer brands including: Healthy Choice, Butterball, Orville Redenbachers, Hunts, and Slim Jim. From 1997 through 2004, Doohan held senior marketing roles at Digital Insight (now an Intuit company) and at Cendant Corporation where he was a customer experience leader on the team that designed and launched move.com, the #1 website for online real estate. Doohan earned an MBA at Northeastern University and is a dual citizen of USA and Ireland. Follow Doohan at http://www.kevindoohan.com and on twitter @kdoohan. Rob Ciampa is Executive Vice President of Sales and Marketing for Pixability, a YouTube marketing and advertising company based at the acclaimed Cambridge Innovation Center. At Pixability, Rob has helped major brands, agencies, media companies, celebrities, and entertainment artists with YouTube strategy, marketing, advertising, and monetization. Rob is also an award-winning marketer who’s used video to help bring 75 innovative products and services to global markets, generating over $1 billion in sales. he also co-founded a specialized consulting firm, growing it to over 400 people and spearheading its international expansion. While there, he built the industry’s first in-house video production studio. A 9-time startup veteran, Rob has been acquired into and worked for IBM, HP, and 3Com. Rob has a BS in Computer Science and an MS in Computer Engineering from the University of Massachusetts, and an MBA from Boston University, all with honors. He holds two patents in technology management. On a personal note, Rob is the father of two teenage boys who transformed their attic into a video production studio and subsequently built multiple, successful YouTube channels with over 8 million views.